21 (2008): One of the most popular movies ever made about blackjack, it is a 2008 drama film in which 5 MIT students learn card counting techniques and win millions at casinos around Las Vegas. It is based on the book Bringing Down the House, by Ben Mezrich. 60 Minutes to Winning Blackjack (2005): This is an instructional movie that gives you a torough introduction to the game of blackjack as well as an overview of tried and tested strategies in just 60 minutes, as per its promise. The movie even includes a practice session in the end. Rain Man (1988): Rain Man is not specifically a blackjack movie but it makes this list because it includes a very popular and iconic blackjack scene. The Acadamey Award-winning movie (Best Picture) stars Tom Cruise and Dustin Hoffman, who together were able to do some incredible card counting and use it to their advantage at a casino to win tons of money. The Hangover (2009): Like Rain Man, The Hangover is also not focused on just the game of blackjack itself, but instead is a story of a bachelor party gone wild. 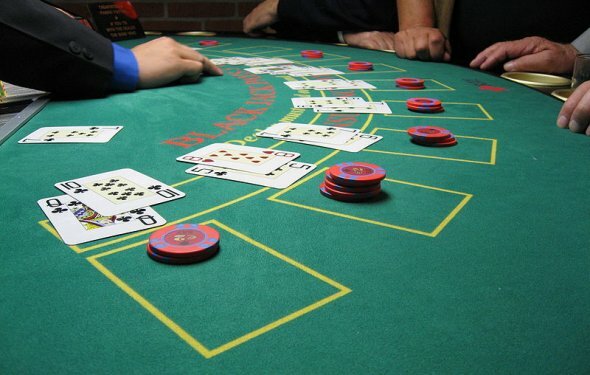 The incredibly popular movie, now part of a successful franchise, is a story about four guys who go partying in Las Vegas and naturally, end up at a casino at one point during the movie, where they play blackjack. The Last Casino (2004): The Last Casino is another popular movie based on the idea of Bringing Down the House, where three students use smart card counting strategies to win big. Essential Blackjack – A guide for players and dealers (2006): This is not an entertainment flick but rather an educational movie and a comprehensive guide to playing blackjack. It includes a host of useful tips about the game. Jinxed (1982): Jinxed is unique among blackjack films as it is a comedy movie about a jinx placed on a blackjack dealer by a professional gambler such that the player simply cannot lose to him. The gambler follows the dealer around wherever he deals and keeps on winning. Croupier (1998): Featuring Clive Owen, Croupier is about a person who becomes a croupier to makes ends meet and instead becomes attracted by the drama of the casino world and the constant drama and glamour that the casinos have to offer.